Delicious in bean salads, chill, and dips, tepary beans can be used in place of any standard dried bean. Very rare. Delicious in bean salads, chili, and dips, tepary beans can be used in place of any standard dried bean. 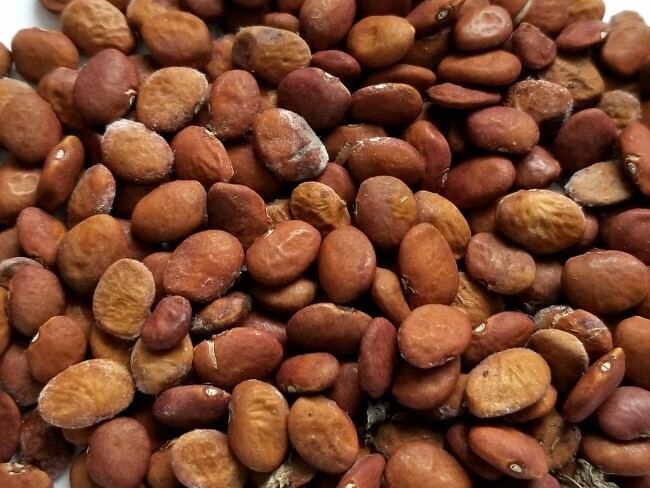 Grown during the blistering hot summer of the Sonoran Desert, tepary beans are one of the most heat and drought resistant crops in the world. The same adaptations that allow them to thrive in harsh desert conditions make them incredibly healthy. They are extremely high in protein and very low on the glycemic index (29). As a result, they help regulate blood sugar levels and are particularly good for diabetics and others concerned about the impacts of simple carbohydrates on their health.